Sharing God's love through the Young Adult Volunteer program in the Presbyterian Church (U.S.A.). I'm a large group friends guy. If I could throw a birthday party with all my closest friends their would be over fifty people present. I keep in touch with old friends from high school. Maybe three or four times a year I get back in touch with friends I lost contact with. I'd like to say that's social media's fault for making those connections simpler than ever, but I've come to realize it's my innate desire to keep up with the friends I make. Whether it's one semester, one year, or one lifetime I don't let go of friends easily, and I want each and every one of those relationships to be impactful. You see my overwhelming desire to cling to people blends dangerously with my insatiable appetite for socializing. I desire to feel close to my friends, but I want to make everyone my friend. When I left for Peru (my favorite sentence to use in this blog) it was perfect. Isolated from my friends and family, I was forced to accept solitude and embrace the time alone. Not that I hate time alone, I just never quite felt comfortable achieving nothing/seeing no one. I used to say I'd feel better about my day if I did something which, in Peru, amounted to biking out for the day or going out with friends. But then I had those nights where I just watched a lot of tv, alone, in my room, and went to bed. What happened there? In Peru I had no choice but to learn to accept it. The guilt of "not-accomplishing" something thinned out significantly. I thought I finally learned how to sit in silence. I've been back in Dallas for well over a year. I slowly settled back into my life, forming new friendships and recuperating old ones. Easily within a year the number of people I interact with on a meaningful level doubled. That's counting people I play frisbee with, people I work on film gigs with, coworkers, and old friends reacquainting themselves in my life. My network has grown exponentially and I absolutely love it, but I've hit terminal velocity. There's only so much I can do to maintain an intentional relationship with all these people. In my head I have this weird sense of obligation to someone once they call me a friend. For example: I keep my phone on when I go to sleep in case I get a late night distress call. It could be from almost anyone and I'd show up. Thankfully no one's called (or I slept through them. Whoops!) but it still demonstrates I would rather lose sleep than lose a friendship. That's pathological. Arguably, it's a pathology enhanced by my return from Peru rather than diminished. You see, when I don't feel like I'm fulfilling my responsibility as a good friend I feel like I'm neglecting my friends. If I'm not out grabbing drinks with them or catching up with them what am I doing? Life goes by fast, I ration. Why waste it watching tv when I could be grabbing a beer? I've been known to push myself for my friends and that's what makes my brand of loyalty so great, but it's double-edged because it drains me. 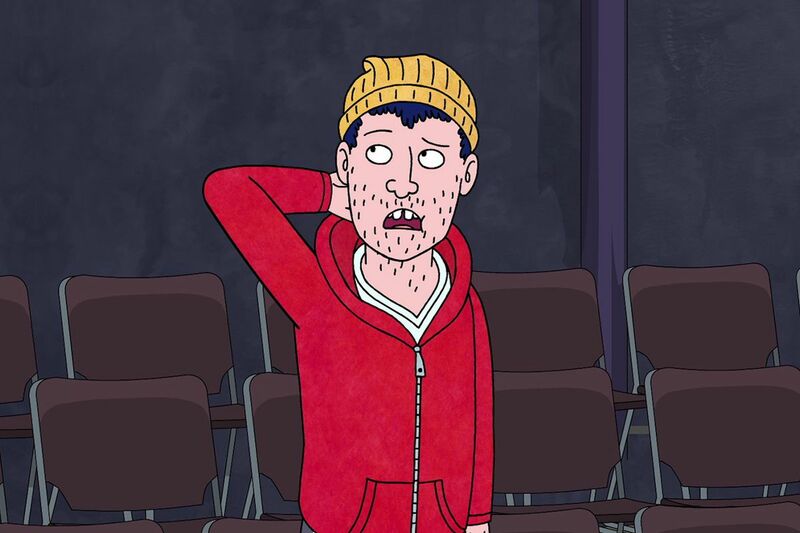 Think about Todd, from Bojack Horseman. He feels pathologically obligated to fulfill all of his friends' wishes no matter how offhand or ridiculous they are. This leads to some clever hijinks, but we understand (in Season 4 Episode 3) that it exhausts him and he has to learn to cut off his friends when they're being rude or just using him. I feel like Todd sometimes. That's where we get to the heart of it: My friends can always count on me, but if they don't reciprocate that reliability I am CUT. I mean, it hurts me deeply. Loyalty, as something I practice, is something I treasure, and when it's not taken as seriously as me I feel hurt. When I don't connect with a friend or if a friendship feels abandoned it lingers in my head haunting my dreams sometimes. It's arguably a core element of who I am as a being and I can't control it to save my life, but it's unfair to expect that from everyone around me. I write all this not to excuse myself but to ask for a remittance. Trust me guys, I'm already feeling guilty if I skip or bail on our time together. It gives me genuine anxiety. But please be patient with me. I make a million and one commitments. I try to honor every single one, and often end up with half the quality I should've given because I'm stretched too thin. I promise if you offer a little patience then you'll be contributing to my general mental health. So, here I am with my psychosis in my hands. Please be gentle. ©Daniel Pappas. Travel theme. Powered by Blogger.